Two bearded Austin, TX musical misfits with an affinity for D.I.Y. electronic/alt production, clever lyrical quips, and sticky alternative hooks, Missio regularly subvert expectations. Case in point, an upbeat lullaby-esque melody about, “Throwing middle fingers in the air” introduced the duo—Matthew Brue & David Butler—to audiences everywhere with the aptly titled breakout single, “Middle Fingers.” At the beginning of 2017, the track exploded on SiriusXM’s Alt Nation, and the band landed a deal with RCA Records. This signature style stands out as the product of their unique and undeniable union as well as years of dedication. Founded in 2014 as a side project for Matthew, longtime friend David joined him after one studio session. In between their SXSW debut in 2015 and tours with Australia’s Sasia and K. Flay, “I Don’t Even Care About You” landed at #7 on Spotify’s Top 50 Global Viral Chart after popping up on the Fresh Finds Playlist. As buzz grew, their music appeared on MTV’s Scream and Finding Carter, Oxygen’s Bad Girls Club, and in a Victoria’s Secret spot. Now, their full-length debut Loner arrives soon. Mar 30 2017 Missio shares video for hit single "Middle Fingers"
(New York, NY) RCA recording artist MISSIO have shared their first video for the current hit single “Middle Fingers.” The clip was directed by Tim Nackashi and features members Matthew Brue and David Butler strolling through a barely populated city amidst scenes of people finding ways to vent their frustrations. The video culminates with the band performing live as the song explodes into its celebratory finale. “Middle Fingers” is MISSIO’s breakthrough single that is available now at all DSPs and streaming services. Released at the top of 2017, the track quickly blew up at SiriusXM’s Alt Nation where it is now standing tall at #5 in the influential “Alt-18 Countdown.” “Middle Fingers” precedes the Austin, TX-based DIY-electronica duo much-anticipated full-length debut, LONER, slated for release on May 19. The band recently announced plans for a major U.S. tour as topliners for Alt Nation’s Advanced Placement Tour, presented by SiriusXM and Live Nation and also featuring 888, Coast Modern, and Sundara Karma. The trek begins Tuesday, April 4th at New Orleans, LA’s Parish Room at House of Blues and then continues through early May. For complete details and ticket information, please visit missiomusic.com/tour. MISSIO will also be making a number of eagerly awaited festival appearances throughout the spring and summer. Announced highlights thus far include Frisco, TX’s EDGEFEST (Saturday, April 1st), Houston, TX’s Buzzfest 2017 (Saturday, April 15th), and Columbia, MD’s DC101 Kerfuffle (Sunday, May 14th). As if that were not enough, MISSIO will join MUSE and Thirty Seconds To Mars for an explosive one-night-only triple bill, slated for Thursday, June 15th at Charlotte, NC’s PNC Music Pavilion. MISSIO was founded in 2014 as a new sonic outlet for Colorado-born musician Matthew Brue and Houston, TX native David Butler, the two musicians teaming up to create something unlike anything either had done before. The duo’s widescreen amalgam of inventive production technique, lyrical wit, and endlessly insistent pop hooks instantly proved a sensation with “I Don’t Even Care About You” – featured on 2015’s debut MISSIO EP – rising to #7 on Spotify’s “Viral 50-Global” chart after first appearing on the automated “Fresh Finds” playlist. Apr 14 2017 Miss announces debut album "Loner"
(New York, NY) RCA recording artist MISSIO will be releasing their debut album, LONER, on May 19. Fans can pre-order the album now and receive an instant grat download of the band’s new song, “KDV” feat. SHUG. Missio recently shared the video for their current hit single, “Middle Fingers.” The clip was directed by Tim Nackashi and features members Matthew Brue and David Butler strolling through a barely populated city amidst scenes of people finding ways to vent their frustrations. The video culminates with the band performing live as the song explodes into its celebratory finale. “Middle Fingers” is MISSIO’s breakthrough single that is available now at all DSPs and streaming services. Released at the top of 2017, the track quickly blew up at SiriusXM’s Alt Nation where it hit the #1 spot on the influential “Alt-18 Countdown” and still stands strong at #2. The song is currently #9 on the Mediabase Alt chart. MISSIO is currently on tour as topliners for Alt Nation’s Advanced Placement Tour, presented by SiriusXM and Live Nation and also featuring 888, Coast Modern, and Sundara Karma. The trek began Tuesday, April 4th at New Orleans, LA’s Parish Room at House of Blues and then continues through early May. For complete details and ticket information, please visit missiomusic.com/tour. MISSIO will also be making a number of eagerly awaited festival appearances throughout the spring and summer. Announced highlights thus far include Houston, TX’s Buzzfest 2017 (Saturday, April 15th), and Columbia, MD’s DC101 Kerfuffle (Sunday, May 14th). As if that were not enough, MISSIO will join MUSE and Thirty Seconds To Mars for an explosive one-night-only triple bill, slated for Thursday, June 15th at Charlotte, NC’s PNC Music Pavilion. The recently released single, “Middle Fingers,” is MISSIO’s breakthrough single that is available now at all DSPs and streaming services. Released at the top of 2017, the track quickly blew up at SiriusXM’s Alt Nation where it hit the #1 spot on the influential “Alt-18 Countdown” and still stands strong at #2. The song is currently #10 on the Mediabase Alt chart. MISSIO will also be making a number of eagerly awaited festival appearances throughout the spring and summer. Announced highlights thus far include their recent performance at Houston, TX’s Buzzfest 2017 (Saturday, April 15th), as well as Columbia, MD’s DC101 Kerfuffle (Sunday, May 14th) and Firefly (on June 16th) . As if that were not enough, MISSIO will join MUSE and Thirty Seconds To Mars for an explosive one-night-only triple bill, slated for Thursday, June 15th at Charlotte, NC’s PNC Music Pavilion. 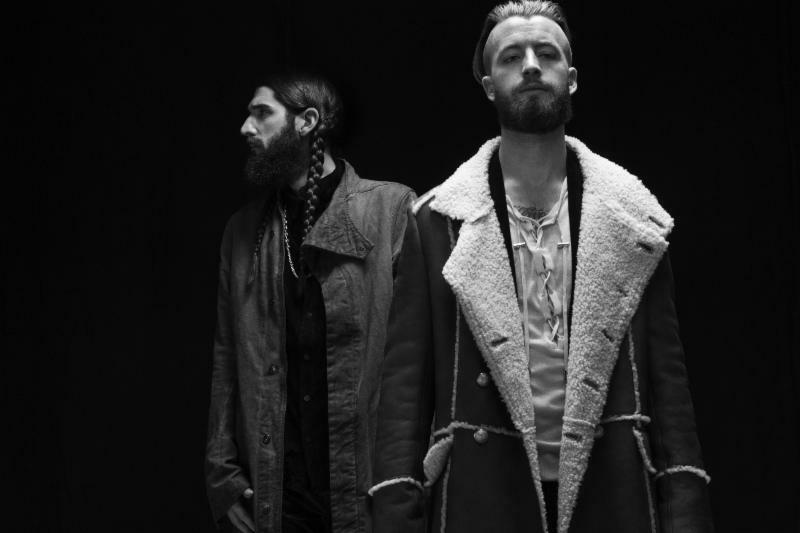 RCA recording artists MISSIO is marking the arrival of their powerful new single, “Everybody Gets High,” with today’s launch of a visionary new mobile video game. “Everybody Gets High” is available now on the iTunes Store for iPhone and iPad, and via Google Play for Android users. Developed by Sony Music Entertainment, “Everybody Gets High” is a simple tap-and-tilt controlled arcade game. The main character – inspired by MISSIO’s Matthew Brue – moves through five unique levels, collecting diamonds as he travels into each higher terrain. His quest leads to an encounter with The Boss – another representation of Brue, symbolizing the artist’s internal struggle with his own addictions. Players who reach the final level will receive an exclusive acoustic rendition of “Everybody Gets High.” In addition, especially skilled gamers will be able to unlock a bonus link awarding them a free ticket to an upcoming MISSIO live concert performance. “Everybody Gets High” is but one of the many highlights found on MISSIO’s acclaimed full-length debut, LONER, available now at all digital music retailers and streaming services. The track has fast has proven a viral breakthrough, with total plays now approaching 2.5 million at MISSIO’s official YouTube alone. LONER also includes MISSIO’s breakthrough single, “Middle Fingers,” available now at all DSPs and streaming services. Released at the top of 2017, the track quickly blew up at SiriusXM’s Alt Nation where it ascended to #1 in the influential “Alt-18 Countdown” before ultimately reaching the top 10 on Billboard’s “Alternative Songs” chart as well as the top 20 across Billboard’s “Mainstream Rock Songs,” “Hot Rock Songs,” and “Rock Airplay” charts. The band performed “Middle Fingers” on Conan on May 24. MISSIO – who recently headlined Alt Nation’s Advanced Placement Tour, presented by SiriusXM and Live Nation – will celebrate LONER with U.S. headline dates and a number of eagerly awaited festival appearances throughout the summer. Highlights include Mountain View, CA’s LIVE 105 BFD 2017 (June 10th), San Diego, CA’s X-FEST 2017 (June 11th), Dover, DE’s Firefly Music Festival (June 16th), The Woodlands, TX’s 2017 Buzz Weenie Roast (July 22nd), Chicago, IL’s Lollapalooza (August 4th), Dana Point, CA’s Ohana (September 9th), Spokane, WA’s Tinnabulation Music Festival (September 10th), Austin, TX’s ACL Music Festival (October 6th and 13th), and Monterrey, MX’s Live Out (October 21st). As if that were not enough, the Austin, TX-based DIY-electronica duo will join MUSE and Thirty Seconds To Mars for an explosive one-night-only triple bill, slated for Thursday, June 15that Charlotte, NC’s PNC Music Pavilion. For complete details and ticket information, please visit missiomusic.com/tour. Jun 19 2017 Missio Unveil "Everybody Gets High (Acoustic)"
RCA recording artists MISSIO are heralding their potent new single, “Everybody Gets High,” with today’s release of a stripped down new companion visual. “Everybody Gets High (Acoustic)” premieres today at MISSIO’s official YouTube channel. “Everybody Gets High (Acoustic)” marks the second in a series of acoustic visuals accompanying tracks originally featured on MISSIO’s acclaimed full-length debut, LONER, available now at all digital music retailers and streaming services. “Everybody Gets High” is fast shaping a viral breakthrough, with total audio streams now exceeding 5.9 million at MISSIO’s official YouTube alone. “Everybody Gets High” is also joined by a visionary new mobile video game, developed by Sony Music Entertainment and available now on the iTunes Store for both iPhone and iPad and via Google Play for Android. “Everybody Gets High (Acoustic)” will be followed later this month by an acoustic video version of LONER’s “Bottom Of The Deep Blue Sea.” The track – streaming now at YouTube – is set to impact multi-format radio outlets nationwide in July. LONER is of course highlighted by MISSIO’s breakthrough single, “Middle Fingers,” already joined by a powerful acoustic companion visual, streaming now via YouTube. The track – available now at all DSPs and streaming services – is unquestionably among the biggest new singles of the year. Released at the top of 2017, “Middle Fingers” quickly blew up at SiriusXM’s Alt Nation where it ascended to #1 in the influential “Alt-18 Countdown” before ultimately reaching the top 10 on Billboard‘s “Alternative Songs” chart as well as the top 20 across Billboard‘s “Mainstream Rock Songs,” “Hot Rock Songs,” and “Rock Airplay” charts. MISSIO recently made their high profile television debut with a live performance of “Middle Fingers” on TBS’ Conan. Additional TV appearances will be announced soon. MISSIO – who recently headlined Alt Nation’s Advanced Placement Tour, presented by SiriusXM and Live Nation – is celebrating LONER with a wide-ranging tour, including U.S. headline dates and a number of eagerly awaited festival appearances throughout the summer. Highlights include The Woodlands, TX’s 2017 Buzz Weenie Roast (July 22nd), Chicago, IL’s Lollapalooza (August 4th), Dana Point, CA’s Ohana (September 9th), Spokane, WA’s Tinnabulation Music Festival (September 10th), Austin, TX’s ACL Music Festival (October 6th and 13th), and Monterrey, MX’s Live Out (October 21st). For complete details and ticket information, please visit missiomusic.com/tour. RCA recording artists MISSIO has announced the long awaited premiere of a powerful new visual accompanying their latest single, “Bottom Of The Deep Blue Sea.” Directed by Evan Spencer Brace (Phantagram, Tiësto), the clip marks the latest visual accompanying tracks featured on MISSIO’s acclaimed full-length debut, LONER, available now at all digital music retailers and streaming services. “Bottom Of The Deep Blue Sea” debuts today Friday, September 29th at MISSIO’s official YouTube channel. In addition, next week will see the arrival of Skeletons, an exclusive new docuseries chronicling MISSIO’s remarkable story thus far. The first installment of the three-part film – directed by longtime MISSIO collaborator Jeff Ray (Sigur Rós) – premieres October 6th at MISSIO’s official YouTube channel. Recently named by Rolling Stone as one of “10 New Artists You Need To Know,” MISSIO has spent much of 2017 celebrating LONER with a wide-ranging North American tour, including U.S. headline dates and a number of widely heralded festival appearances. The epic trek continues into December with Nothing But Thieves and Blue October, with highlights including much anticipated sets at Swissvale, PA’s Thrival Music Festival (September 30th), Austin, TX’s ACL Music Festival (October 6th and 14th), and Key Biscayne, FL’s OFF Weekend Music & Arts Festival (December 9th). For complete details and ticket information, please visit missiomusic.com/tour. MISSIO made high profile television debut earlier this year with a live performance of ” Middle Fingers” on TBS’ Conan. RCA recording artists MISSIO has announced today’s release of a stripped down new EP. SKELETONS PART I is available now at all digital music retailers and streaming services. SKELETONS PART I collects remarkable acoustic versions of songs originally featured on MISSIO’s acclaimed full-length debut, LONER, available now at all digital music retailers and streaming services. Highlights include unplugged renditions of “Bottom Of The Deep Blue Sea” and the breakthrough single, “Middle Fingers,” alongside an exclusive re-release of “Can I Exist” (originally featured on MISSIO’s 2015 debut EP). The latter track is joined by a truly extraordinary companion visual, directed by longtime MISSIO collaborator Jeff Ray. The winner of the “Best Music Video” prize at the 21st Annual Urbanworld Film Festival, presented by REVOLT in partnership with HBO, “Can I Exist” will premiere next week, October 12th at MISSIO’s official YouTube channel. Today also sees the arrival of Skeletons (Part I), an exclusive new docuseries chronicling MISSIO’s remarkable story thus far. The first installment of the three-part film – again directed by Ray (Sigur Rós) – is streaming now at MISSIO’s official YouTube channel. 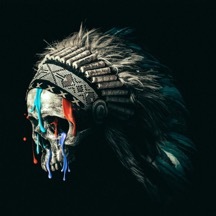 Additional chapters will premiere through the month, with Skeletons (Part II) slated for October 20th and Skeletons (Part III) due on October 31th. SKELETONS PART I follows the recent premiere of a powerful new visual accompanying the latest single from LONER, “Bottom Of The Deep Blue Sea.” The clip is streaming now at MISSIO’s official YouTube channel. Named by Rolling Stone as one of “10 New Artists You Need To Know,” MISSIO has spent much of 2017 celebrating LONER with a wide-ranging North American tour, including U.S. headline dates and a number of widely heralded festival appearances. The epic trek continues into December, with highlights including a series of shows supporting Blue October – beginning November 4th at Mavericks in Jacksonville, FL – as well much anticipated sets at Austin, TX’s ACL Music Festival (October 6th and 14th) and Key Biscayne, FL’s OFF Weekend Music & Arts Festival (December 9th). For complete details and ticket information, please visit missiomusic.com/tour. MISSIO made high profile television debut earlier this year with a live performance of “Middle Fingers” on TBS’ Conan. Additional TV appearances will be announced soon. 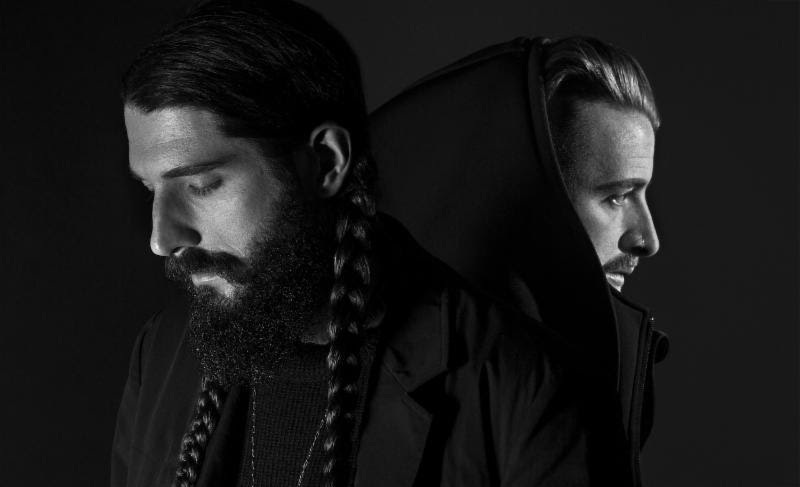 Today, RCA recording artists MISSIO are excited to announce The Loner Tour. After spending much of this year on the road supporting Nothing But Thieves and Blue October, the celebration of their new album LONER continues into 2018 with headlining dates across North America. A full list of tour dates can be found below. Tickets go on sale this Friday, December 8 on MISSIO’s official website. SKELETONS PART I, released early October, collects remarkable acoustic versions of songs originally featured on MISSIO‘s acclaimed full-length debut, LONER, available now at all digital music retailers and streaming services. Highlights include unplugged renditions of “Bottom Of The Deep Blue Sea” and the breakthrough single, “Middle Fingers,” alongside an exclusive re-release of “Can I Exist” (originally featured on MISSIO’s 2015 debut EP). The latter track is joined by a truly extraordinary companion visual, directed by longtime MISSIO collaborator Jeff Ray. The winner of the “Best Music Video” prize at the 21st Annual Urbanworld Film Festival, presented by REVOLT in partnership with HBO, “Can I Exist” can be viewed now at MISSIO’s official YouTube channel. 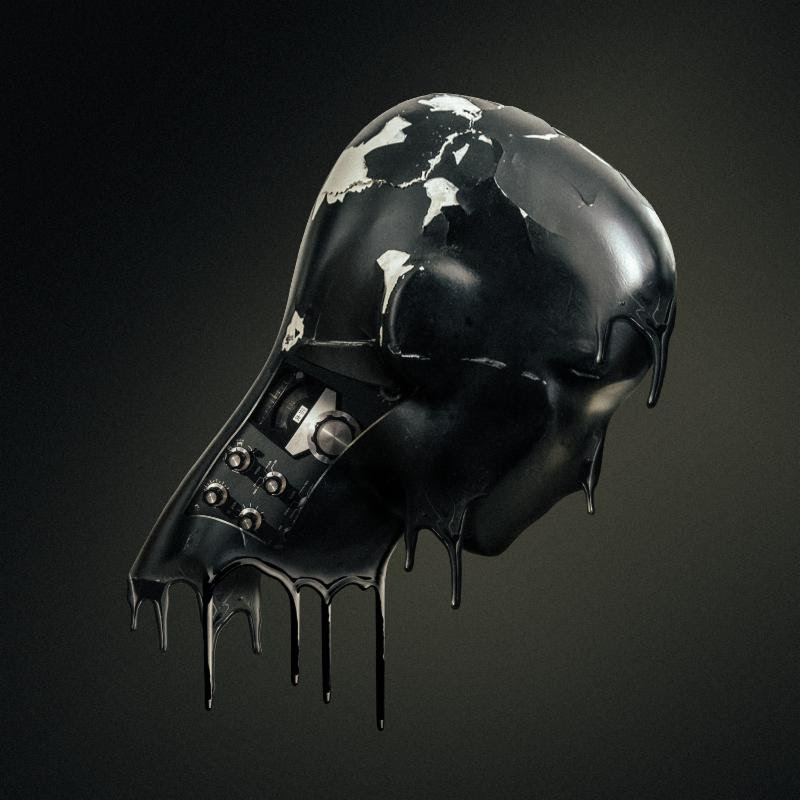 LONER has proven one of the year’s most significant debuts, highlighted of course by MISSIO‘s breakthrough single, “Middle Fingers,” available now at all DSPs and streaming services. Released at the top of 2017, “Middle Fingers” quickly blew up at SiriusXM’s Alt Nation where it ascended to #1 in the influential “Alt-18 Countdown” before ultimately reaching the top 10 on Billboard‘s “Alternative Songs” chart as well as the top 20 across Billboard‘s “Mainstream Rock Songs,” “Hot Rock Songs,” and “Rock Airplay” charts. “Middle Fingers” is joined an equally popular companion video, now boasting nearly 5 million individual views via YouTube alone. MISSIO will kick off The Loner Tour in Nashville, Tennessee this February making stops in all major cities across North America. Cleveland rock band Welshly Arms and “moody pop” singer-songwriter Morgan Saint will join the duo on select dates.